Ellen and Sami, Orthodox Jews, were married in 1985. They have four children. In 1998 Sami – an architect – died in a car accident. Because Ellen had heard about the organ donation of Alisa Flatow supported by Rabbi Moshe Tendler she donated Sami’s heart and saved a woman’s life. 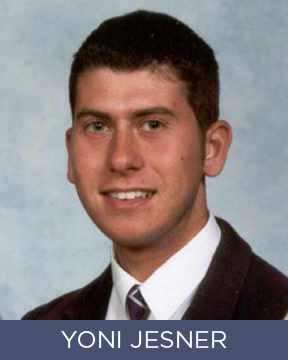 Yoni Jesner was 19 when he was killed in a suicide bombing on a bus in Tel Aviv, Israel, on 19th September 2002. Yoni, who was from Scotland, was in Israel studying in Yeshivat Har Etzion and had a place in Medical School at UCH in London. Yoni’s drive, determination and infectious enthusiasm allowed him to achieve more in his 19 years than many people do in a lifetime. He was an inspirational youth leader and a true role model for many youngsters – he had a wicked sense of humour! In his death Yoni donated organs to a number of people, including his kidneys to a young Palestinian girl. 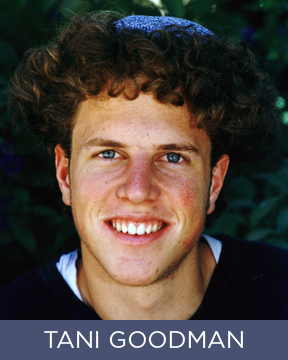 JJ Greenberg was a rising star in Jewish philanthropy and communal service when his life was tragically cut short. 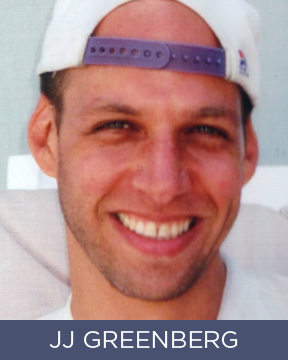 In September, 2002, at age 36, he was struck while riding a bicycle in Israel, a place he loved. As Executive Director of Jewish Life Network / Steinhardt Foundation, JJ played a key role in defining its mission and implementing its numerous projects: Makor, Birthright Israel, the Partnership for Excellence in Jewish Education, the Service Partnership for Teens and College Students, and the Jewish Campus Service Corps of Hillel. Utilizing his encyclopedic knowledge of music, his deep interest in theater and the performing arts, and his own rewarding two decades of experience in outreach (including Shlock Rock and JPSY), he helped conceptualize Makor as a way of connecting to Jews in their twenties and thirties, Jews who might otherwise not find their way to standard Jewish venues. JJ’s life was short but rich. It was characterized by the joy of living, a love of the tradition and its values, and a zest for athletics, adventure and travel. But his greatest passion was people – family, friends, colleagues, children. He was nonjudgmental and embraced every kind of Jew. He reached out in genuine interest and kindness to all human beings. He was modest, gentle and funny, and always had time for others. JJ brought his interests, creativity, and personal warmth to his career on the frontiers of Jewish philanthropy. He was beloved by so many. His contributions to the world live on after him. 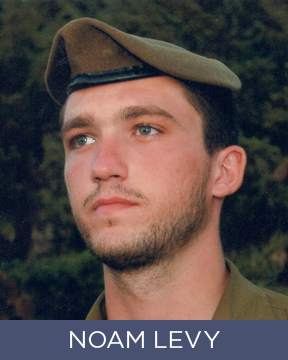 Energetic, with a heart of gold, Noam was killed in action while protecting his country and fellow soldiers. He served as a combat medic in the Israeli infantry unit “Duchifat” and viewed saving lives as supremely important. He gave medical help not only to Israeli soldiers but also to Arabs. He had said that if anything should happen to him, he would like to save lives – even in death – by donating his organs. And so it was done. Noam was incredibly energetic, enthusiastic and always full of life. He managed to pack 120 years into his short 20. He was an outstanding athlete and a caring friend. He is missed. Tani Goodman was the All-Jerusalem 12th grader. Tani died on February 7th, 2002 at the age of 17 years and 2 months, after being mortally injured by a malfunctioning security gate which accidentally closed on him. Tani was the “Student of the Year” in his 11th grade class in the Shalom Hartman High School, a leader in the Masuout Scouts Troop, as well as founder and leader of the Yehuda Scouts Troop in Kfar Adumim. He was a starter on the Hartman High School basketball team, as well as starter on the Masuot Troop’s basketball team. He was a member of the Bronfman Fellowship, a group chosen to be future Jewish leaders. Tani worked in giving food to the poor as well as working for public awareness of missing soldiers. He continued his studies after school in the Machon Meir Yeshiva of Jerusalem, was a devout Jew, yet open to everyone. He was a true friend and teacher to many and loved by many more. Tani was such a role model for his friends that in his death many lives were changed. Tani’s memory lives on among his many friends and his loving family both in Israel and in the United States. In his death, Tani saved the lives of 4 people and gave sight to two others. The recipients of his organs were both Jewish and Muslim, religious and secular. Tani gave in death with the completeness of how he gave in life. His example lives on. 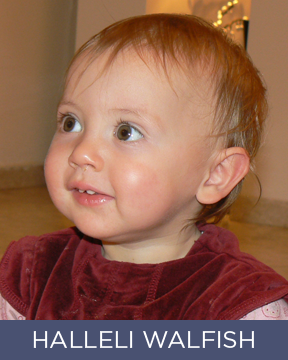 A freak accident in her nursery school cut short the life of Halleli Walfish at the age of one and a half years old. Halleli was a happy and delightful infant, and parents of other babies in her community used to hold her up as an example of how good a baby can be. Shortly before her death she learned to say Imma (Mommy) and Babba – which doubled for Abba (Daddy) and Sabba (Grandpa). She brought joy into many lives during her own brief life, and in her death her organs gave life and hope to four children. Her heart and liver saved the lives of two one-year-old baby girls, and her kidneys saved two older Israeli Arab children. Bob was a devoted husband, father, son, brother, and friend. 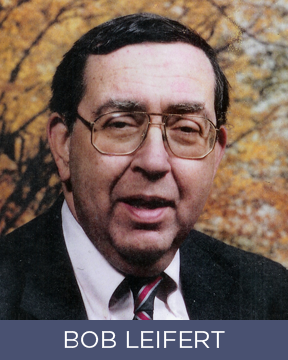 A man known for his integrity and compassion, he spent his professional life in service to klal Yisrael, most notably as executive director of the prestigious Congregation Kehilath Jeshurun in New York City for over 25 years. A passionate Yankee fan, he was a history buff and an avid photographer. Bob loved driving vacations; every summer found the family setting out on a new adventure. A graduate of Temple University, he received master’s degrees from Columbia University and Yeshiva University. Bob was diagnosed with diabetes at age 19; when he was 41 he received a kidney from his brother, Harvey. This transplant allowed him to lead an active life for 19 more years, celebrating such milestones as his son’s Bar Mitzvah, daughter’s Bat Mitzvah, the marriage of his son, and the birth of his first grandchild. When Bob died at age 60, he himself became an organ donor, saving the life of a 55-year-old man. Above all else, Bob was known as a person who never complained about the curveballs God threw at him; he just hit them out of the park. 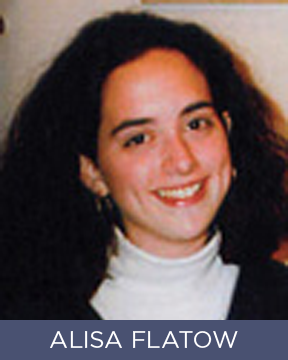 Alisa Flatow, a 20-year-old American studying in Israel, was murdered in a terrorist attack near the settlement of Kfar Darom on April 9, 1995. Alisa was in Israel to study her religion and to live among the Israeli people. She loved the Jewish people, the Torah, and the land of Israel. She believed in the good inherent in all people. Alisa believed she was safe in Israel and no one could dissuade her from that belief. She suffered a fatal head wound in a bombing of a bus in the Gaza strip. When Alisa succumbed to her wounds, her family donated her organs to save the lives of others. Her lasting contribution to the people of Israel is that her organs were donated for the saving of lives in need.